Most everyone should be familiar with Short’s Brewing Company as they are one of the top producing breweries in Michigan and their beer can be found at practically any decent beer store or on tap at all of your better beer bars and restaurants. 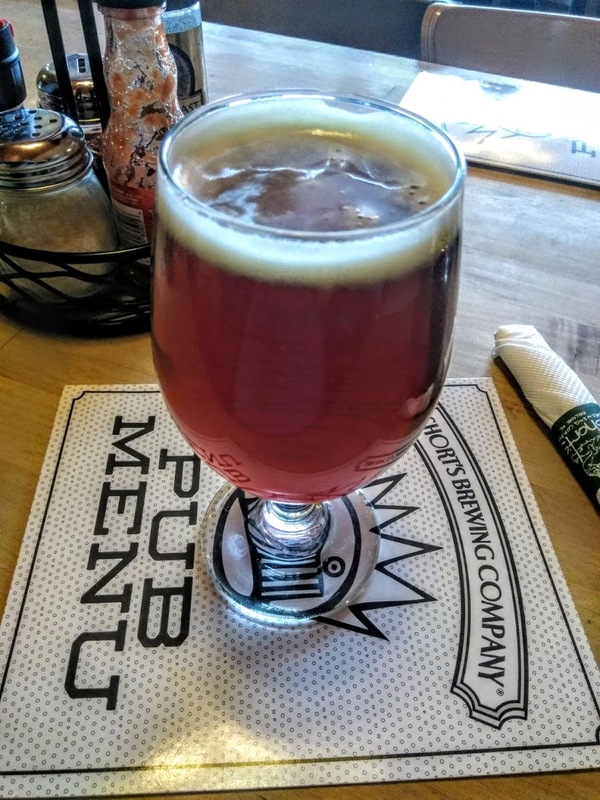 However, one has not truly experienced the magic of Short’s Brewing Company until they have paid a visit to the ever-expanding pub located at 121 N. Bridge St. in downtown Bellaire. The pub currently features 20 different beers on tap which range from mainstays like the Huma Lupa Licious IPA and Bellaire Brown to seasonals, pub exclusives and Short’s own line of Starcut ciders, Short’s Brewing also features a selection of rotating beers on cask. 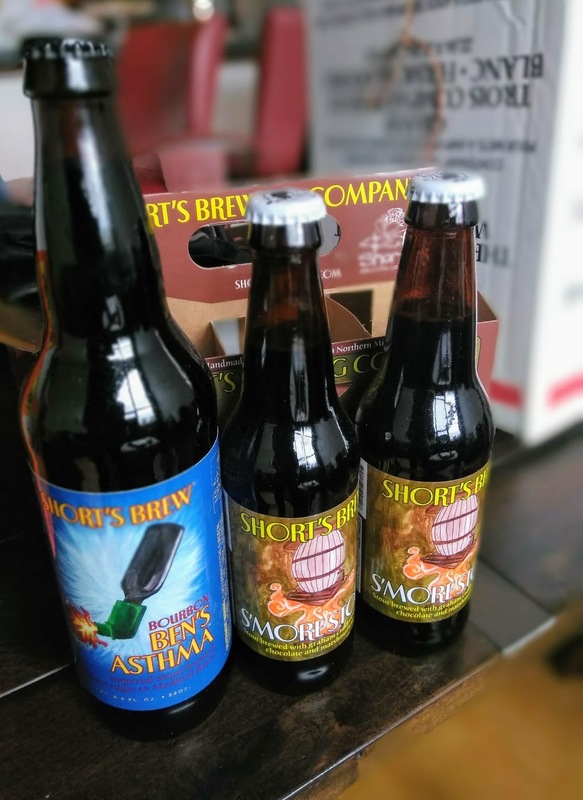 A large variety of Short’s bottled beer is also available at the pub and to-go via the Short’s Mart which also features a variety of Short’s merchandise including t-shirts, glassware, and accessories. Short’s pub features a full kitchen with a menu including pizza, sandwiches, soups and salads. There is also a gluten free menu as well as vegetarian options. 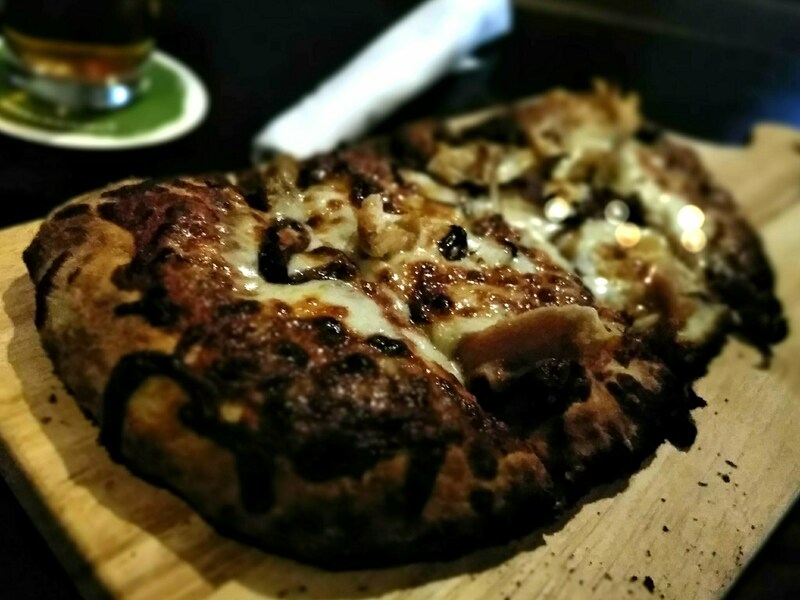 The brewery is family-friendly with a kid’s menu and a variety of soft drinks offered. Pub hours are 11:00 AM until 10:30 PM on Sunday through Thursday and 11:00 AM until midnight on Fridays and Saturdays. The kitchen is open until 10:00 PM on weekends and until 9:00 PM during the week. Posted on January 29, 2018 at 5:06 pm. Lakeshore Brewers Guild board member Allen Serio provides insight on the 2017 Burning Foot Beer Festival with a first look at some of the data behind year three of the Muskegon beach, beer, music, and art festival. DAN VANDERKOOI: How was attendance at this past year’s festival? ALLEN SERIO: We had 4,000 attend the 2017 Burning Foot Beer Festival which included ticket sales from 26 states and 3 different countries. Well over 300 volunteers also helped to make Burning Foot a success. DAN VANDERKOOI: How many people took advantage of the on-site camping? ALLEN SERIO: We had well over 500 people camping. Tent camping sold out. The RV spaces were both about half full last year. Next year due to restructuring we will be limited to just one site for the RV spaces, so we anticipate that these will also be sold out going forward. DAN VANDERKOOI: How many breweries participated? ALLEN SERIO: 65 breweries representing Wisconsin, Illinois, and Michigan. No breweries from Indiana however Lakeshore Brewers Guild members recently attended the Indiana Brewers Guild conference this past April. We’ve also met with the head of the Illinois Brewers Guild with discussions as to working closer together in conjunction with them in the future as well. DAN VANDERKOOI: How did the 2017 pre-ticket release party go? ALLEN SERIO: Attendance was double from the previous year’s party. We are currently in the planning stages for the 2018 pre-ticket release party. Ticket prices will remain the same as they were last year but will be discounted $5 at the party. DAN VANDERKOOI: And how about the brewer’s preview party on the LST? ALLEN SERIO: The preview party continues to be a hit with volunteers, brewers, and guild members and that venture will continue for the next several years. We do plan on bringing in food trucks next year with vouchers for free food provided for attendees. DAN VANDERKOOI: How about the food at Burning Foot? ALLEN SERIO: Food is one area we think we can improve on going forward. While every year has been a success we are always looking for things we can do better. As the festival continues to expand, so have the food demands, so we plan to bring in outside vendors for next year’s fest. 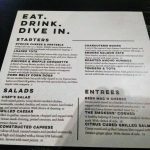 We are hoping to connect with 3 or 4 local restaurants. DAN VANDERKOOI: How did it go with the music? ALLEN SERIO: Music was a big hit. Stage production was way up this year. We like that format – the stage, rigging, light show. Next year we want to take it up another notch. We plan to round it out to having 4 bands instead of 5. 4 will be a better number. We are going to be even smarter in regards to how we bring the bands in – the talent will increase with roughly the same budget as last year. 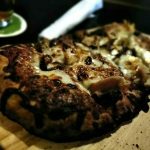 DAN VANDERKOOI: Anything you can share with us regarding the 2018 Burning Foot Beer Festival? ALLEN SERIO: We will be going to work on another art installment this year. One of the focuses for the 2018 festival will be renewable energy. The art piece will incorporate either the sun, wind or water. We are working on zero footprint. Ryan Andrews from Grand Armory Brewing is coming on as the sustainability chair. Grand Armory’s anniversary party is zero footprint. He will bring his resources and contacts to ensure we have as little waste as possible. For non-profits, this year we will also be adding a partnership with Kids’ Food Basket for the pretzel necklace area, and also look for a rebranding of the VIP area which will include some improvements and enhancements from last year. Posted on January 15, 2018 at 12:27 pm. 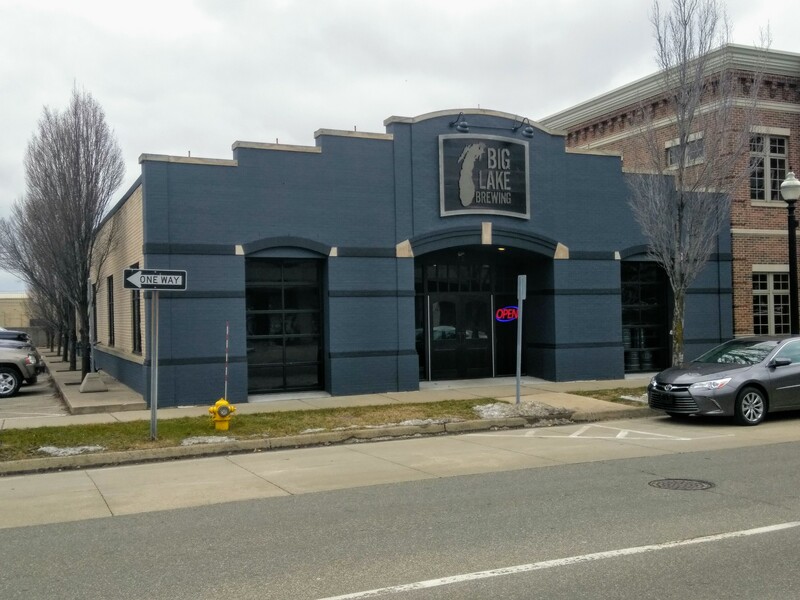 Holland’s Big Lake Brewing has moved to its new downtown location at 13 W 7th St. 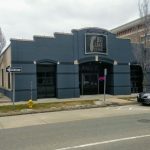 The building has a brewing history having formerly served as home to Backstreet Brewing and Via Maria Trattoria. Most recently, the building was previously occupied by Serafina’s Italian Grille. 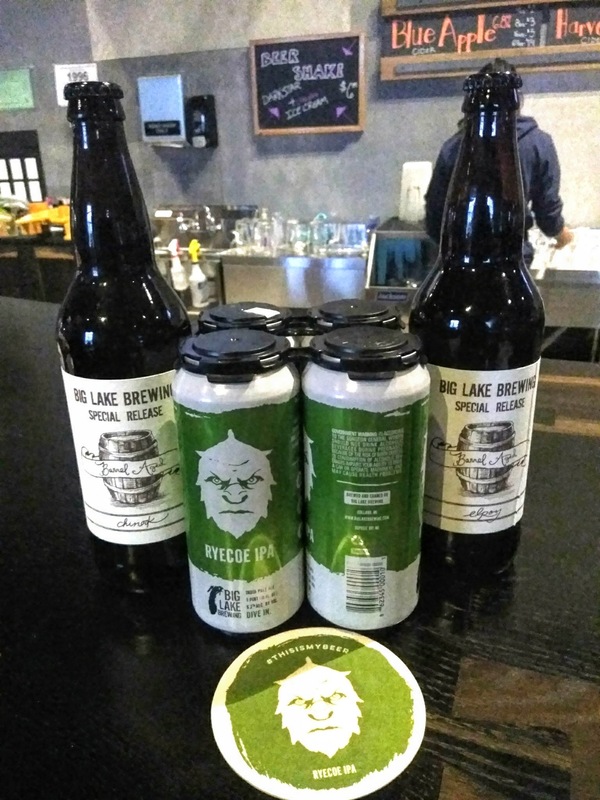 Big Lake Brewing has made significant renovations to the location and those familiar with the past breweries and restaurants will be impressed by the transformation that has take place inside. Part of the new expansion for Big Lake Brewing is a kitchen with a full menu including salads, snacks, pizza, and sandwiches. 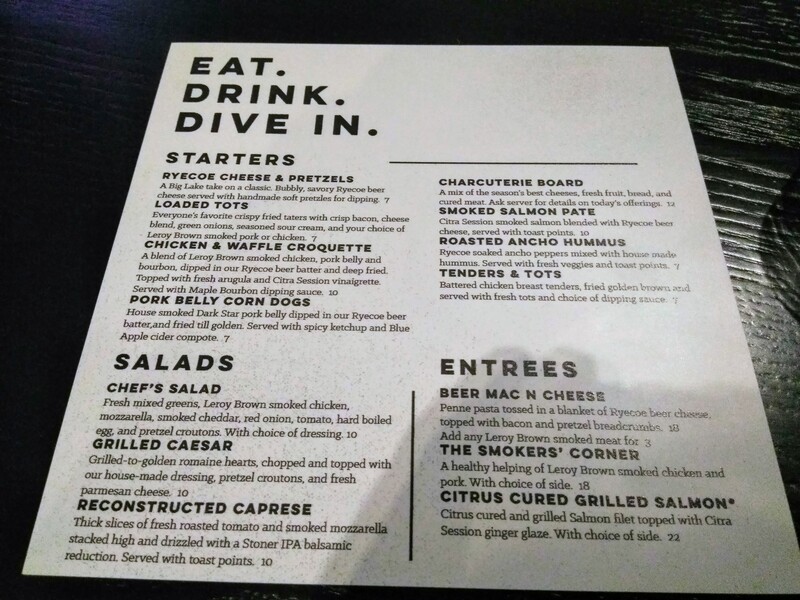 Starters include loaded tots and chicken & waffle croquette with entrees including beer mac & cheese and citrus cured grilled salmon. 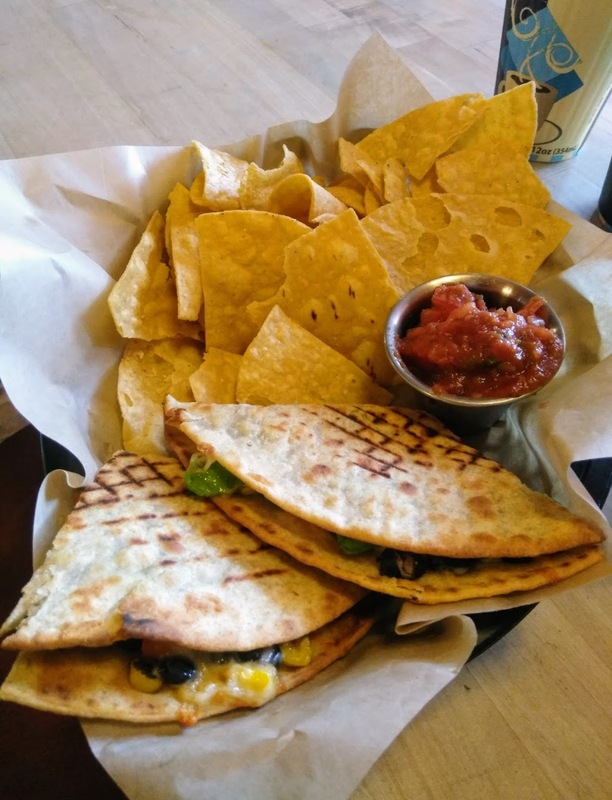 The food all pairs amazingly well with Big Lake Brewing’s stellar lineup of beer including such favorites as their Ryecoe IPA, Darkstar Stout, and Chinook Strong Ale. 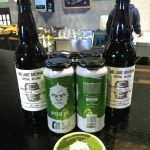 Beer is also available to-go including cans of the mainstay options as well as bomber bottles of barrel-aged specialty releases.